He said this proactively — not in response to a question. That leads us to believe that his administration remembers well, and hopefully wants to avoid, the low morale suffered by National Guard troops and the criticisms about how they were utilized when they first were dispatched in 2014 to guard the border following an uptick in illegal immigration. Gov. Abbott said these new troops will not participate in arrests or chases of immigrants, but he stressed that they are a necessary “force multiplier.” And they are “awaiting final instructions from Homeland Security and the Department of Defense,” on what exactly the National Guard will do here this time around. Certainly we want U.S. Border Patrol to be able to better focus on their job and mission. And if another support force is necessary to help run cover and administrative operations for them to keep them safe, then we acknowledge the need. But we hope Gov. 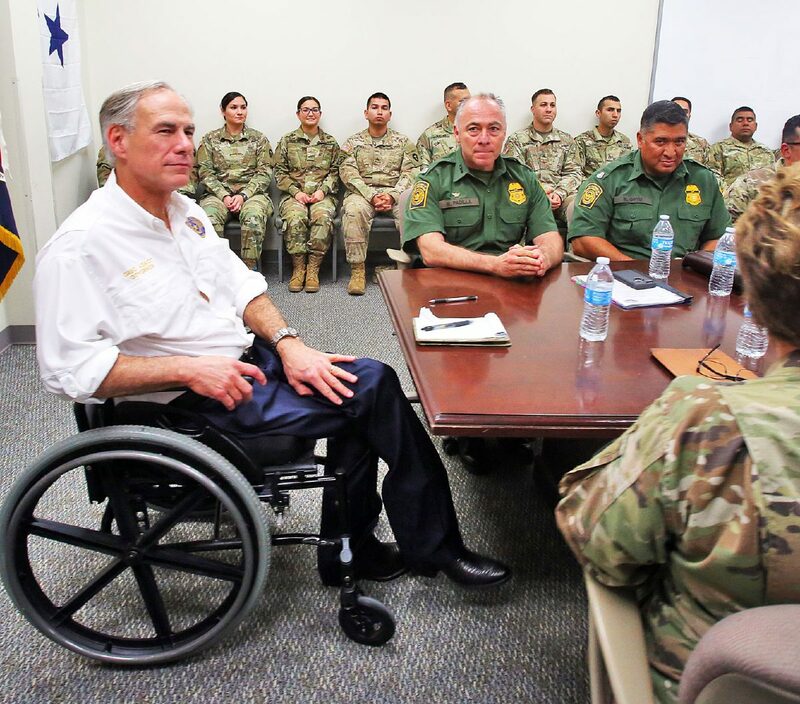 Abbott and those directing the National Guard will keep true to their word, and not relegate these new troops to what in previous years appeared to be questionable and mindless statuary trail patrols on desolate border stretches for long shifts where they were not allowed to leave their posts, not even to follow illegal immigrants. The idea that the National Guard will operate Lakota light utility helicopters for surveillance, for instance, as Abbott said on Thursday, sounds like a useful and professional fit that would put more eyes in the sky to help thwart drug traffickers and human traffickers. They should also utilize these guard troops, if possible, to help with expensive Aerostat aerial surveillance equipment. Hopefully that could reduce some of the hundreds of thousands of dollars in manpower that the federal government pays, with our tax dollars, each month per unit to operate these Army surplus machines. U.S. Sen. John Cornyn and U.S. Rep. Henry Cuellar, who at the time wrote letters of complaint to then Secretary of Homeland Security Jeh Johnson. We await the DOD and Homeland Security’s final orders on exactly how and where these troops will be placed and we hope they make better decisions about them this time and place these troops in surveillance positions where their skills will be fully utilized and their morale will remain high. 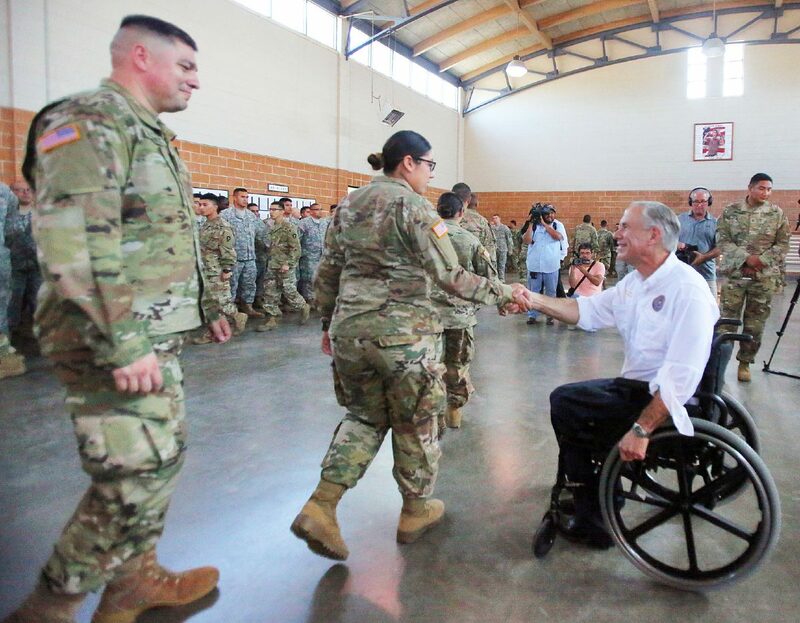 By Thursday, 762 Texas National Guard troops had been deployed to the border. An additional 300 troops are to be deployed each week, Abbott said, until the total amount of troops stationed at the border reaches 1,400. Abbott said the troops are necessary and he praised President Donald Trump for requesting them. He said there was a 200 percent increase in illegal immigration activity on the border last month compared to March 2017. There also has been a 200 percent increase in heroine crossing the border, and a 200 percent increase in MS-13 gang activity during that time period. Abbott explained that this uptick in drugs and gangs imperil those of us living on the border by increasing the number of stash houses in our communities, and even threatens area drivers, as there have been more police chases. 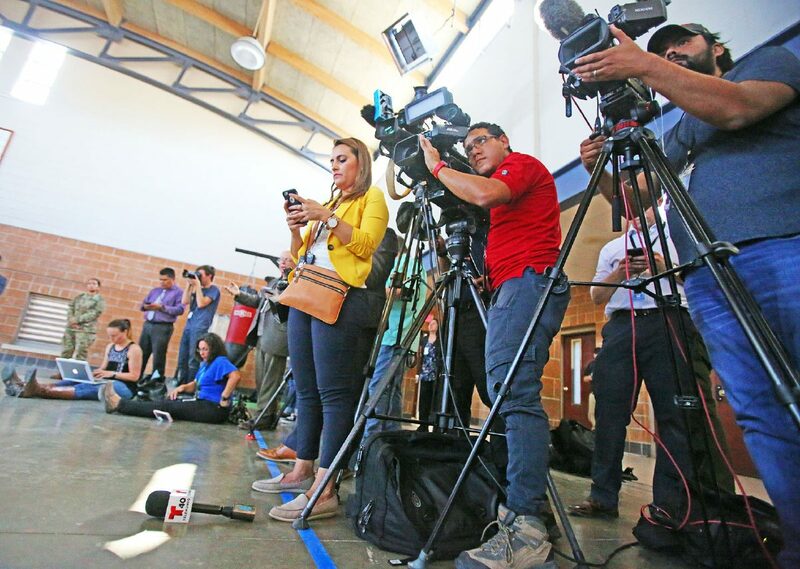 We have noted, however, that there actually was a 45 percent drop in apprehensions of unaccompanied minors in the Rio Grande Valley sector from March to a year ago, according to recent Border Patrol statistics. But there have been increases in other sectors, like Big Bend. That may be true, but those numbers are inclusive of the entire Southwest border. Abbott and the Trump administration must be careful not to illicit unnecessary fears regarding the Rio Grande Valley, if that is not the case as it was in 2014 when there began a tremendous surge in families and unaccompanied minors illegally crossing here. We reiterate our concerns that the deployment of the National Guard to our border region must be necessitated by a legitimate need right now, and we trust that our elected officials are not steering us wrong or skewing the numbers to appease President Trump who campaigned on anti-immigrant rhetoric and has repeatedly promised he will build a wall and shut down the border.